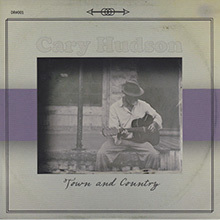 Cary Hudson’s latest record is a little mellower than his Blue Mountain recordings (if you want to hear a wild tale, check out their “Midnight in Mississippi” cut) but the stories and easy vocals still remain.Town and Country is roots music at its best. 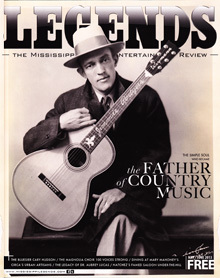 Hudson’s writing encompasses easy vignettes and fun characters whether they are the “Mississippi Country Girl” that he gets along with “like Johnny and June” or the romantic evening he has with a woman dancing to “Beast of Burden.” It’s details like this that give his songs an authenticity. His songs find truth in the small things, and that’s the mark of a great songwriter. There is no artifice to his playing and writing. The music is up-front yet not shallow—just because it’s not hard to understand what is going on in the songs doesn’t mean they don’t have meaning and depth. Even the ominous song “The Storm Is Coming” works on a deeper-surface level. In that way, Town and Country shows off Hudson’s musical and lyrical strengths with fine songs and fine playing. Cary Hudson has been on the road for more than 25 years, spending most of that time in Blue Mountain, the seminal alternative country-rock band he formed with his former wife. 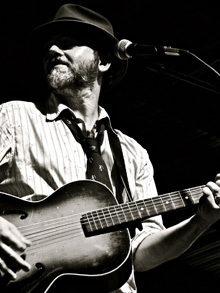 It is a career that has been punctuated by highs and lows – the split of his marriage to longtime partner Laurie Stirratt, the achievement of making Gibson guitar’s “Top 10 Alt-Country Guitarists” list in 2008. Blue Mountain’s last tour, however, was officially its last. Following a June 29th 2013 date at the North Mississippi Hill Country Picnic in Waterford, the band officially pulled the plug. “We had a great run. Nobody’s mad at anybody else. I’m just ready to go in a different direction,” says Hudson, who has made a name for himself with his Neil Young-inspired riffs and who has become synonymous with a Les Paul. 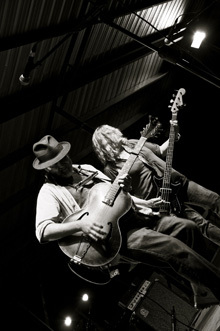 The group had tried in recent years to incorporate some of the more acoustic-based bluesier sounds Hudson wishes to pursue, but those sounds simply did not fit in with the legacy Blue Mountain had created. “A lot of people want to see me with a Les Paul when they come to a Blue Mountain gig, and I owe that to them. It’s like going to see AC/DC. You don’t want to see any acoustic guitars. You want to see Angus Young bopping around with his Gibson SG in a school boy’s uniform,” he says. Hudson, originally from Sumrall, has released a few albums over the years, including the critically acclaimed “The Phoenix,” but considers this the official beginning of his career as a solo artist. 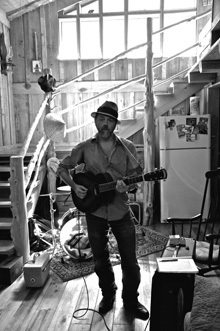 In addition to the remaining dates for Blue Mountain, Hudson has been playing a number of solo acoustic gigs, including several dates at New Orleans’ Chickie Wah Wah. He isn’t planning a full-fledged tour until he releases a new record – and he doesn’t rule out the possibility of using a band for either the recording or the tour. Hudson has about half of the songs written for his official solo debut and hopes to have a release next year. He says he plans to use musicians from Mississippi to his current New Orleans home, for the forthcoming album. Even though he’s looking forward to launching a solo career, Hudson is certainly not phoning it in for the final Blue Mountain shows. August 2014 saw the release of Cary’s sixth solo album Town and Country, recorded in Bogalusa, Louisiana at the world-famous Studio In The Country. It was mixed by Multi-Grammy winning Trina Shoemaker and has notable musicians as Doug Belote, Ryan C. Brown, David Hyde, and Ferd Moyse. Cary can be followed on ReverbNation, Twitter, and Facebook.